At the heart of the notion of behavioural disease is the idea of compulsivity, by which people men it’s beyond the influence of reward, punishment, expectation, cultural values, personal values. Alan Leshner (the former head of the National Institute on Drug Abuse) says drug use starts off as voluntary and becomes involuntary. But the epidemiological evidence suggests otherwise. When you read the biographical information, you see individual drug addicts (who’ve quit) saying, “Well, it was a question of getting high on cocaine or putting food on the table for my kinds.” Or, “My life was getting out of control.” Or, in the case of William S. Burroughs, “The cheques from my parent stopped coming” (p. 19). My analysis is based on the fact that there are always two “best” ways to make choices. We can take into consideration the value it has at the moment–the immediate rewards. Or we can consider this kind of circle of expanding consequences that each of our choices has. Your pattern of choices can be much different depending on whether you take into consideration this broader circle. A workaholic, for example, starts out taking into account only the immediate demands of working, dropping every other consideration. But he ends up, according to himself and everybody around him, working too much. The model just tries to formalize that idea, and it’s really just common sense. So when people are choosing the drug, they’re thinking that moment, or that particular day, would be better if they did. A chronic smoker will think that the next tree minutes would be better with a cigarette than without. But after year of smoking 20 cigarettes per day, adding up to 60 minutes each day, you might think, “I’d rather have the 60 minutes of not smoking each day.” Unfortunately, you don’t choose 60 minutes at a time. You decide one cigarette–or three minutes–at a time, and that’s what makes this so difficult (p. 20). While Heyman is right that addiction is a choice and not a disease he is mistaken as to the reason one ultimately chooses addiction. He chooses addiction because of sin and a desire to fulfill his sinful desires with that which is not Jesus Christ. So the problem is a failure to adaquately worship Jesus Christ and the solution is Jesus Christ. Obviously, this is a broad generalization and there are many steps in between, but this is the problem and the solution. D. G. Hart and Sean Michael Lucas should be commended for their work in editing the new P&R series of American Reformed Biographies. (Current volumes include, Robert Lewis Dabney: A Southern Presbyterian Life, John Williamson Nevin: High Church Calvinist, and soon to be released James Petigru Boyce: A Southern Baptist Statesman.) Some key members of American Reformed history have been neglected and one important figure especially, Cornelius Van Til. Now, Van Til’s writing and thinking is not neglected. It is continued to be taught at Westminster Theological Seminary, particularly in the presuppositionalist apologetic he helped to systematize. Even at a dispensationalist school like my alma mater, Detroit Baptist Theological Seminary, we studied the presuppositionalism of Van Til. In this helpful new book by John Muether the life of Van Til is helpfully shaped. Particularly are how Muether traces Van Til’s life and shows the theological influences brought to bear on him from his Dutch Reformed heritage, his studies at Princeton, and other such factors. Muether catalogs his move from the Dutch Reformed church of his youth to the American Presybterian church (reluctantly) as he came to teach at the newly formed Westminster Theological Seminary. For a man who attempted to be simple and unassuming, his thinking became a hotbed for debate. Many know of Van Til’s thinking (albeit they might not understand it), but many do not see him beyond his life as a professor. Van Til was a devoted churchman who sought to advance the church in its desire to obey the Great Commission in a thoroughly Reformed way. In this way, he was criticized during the various times of controversy in the life of the school and of the denomination. The devoted husband and father and dedicated student of modern theology and the Word of God was often under appreciated during his life and after. 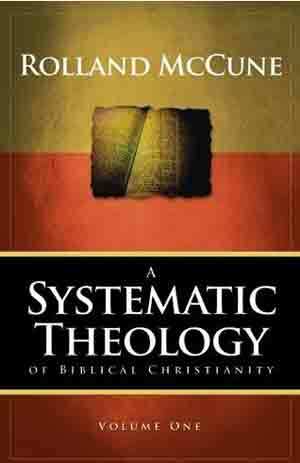 But many, knowingly or not, owe much of their Reformed epistemology to that layed out by Van Til. When others would capitulate to the unbelieving mind (as he criticized his former student Francis Schaeffer over) he sought to remain as consistently Reformed as possible in the knowledge that there is no “common ground” between the believer and the unbeliever. His motto of suaviter in modo, fortiter in re (gentle in persuasion, powerful in substance), sums up his life and teaching. He sought to be gentle as he taught the Word and as he sought to present the truth, but the truth was clear and powerful and able to change men’s hearts and minds! What makes Van Til’s life a compelling story and his theology one that merits a hearing is not so much a narrow analysis of his distinctive apologetic methodology. For this reason he is often disagreed with, and perhpas more often misunderstood. Van Til carbed out a way to be distinctively Reformed in the twentieth century. To be sure, that way involved apologetics, but it also involved much more. Van Til taught that the defense of the faith must be as Reformed as the exposition of the faith. Thus, to separate the man from his church is an abstract reduction of the richness of his heart and life. The unity of thought and life continues to be Van Til’s gift to the whole church of Jesus Christ (p. 240). Besides having endnotes instead of footnotes (painful to check references!) the book is a helpful look at the life and labours of a man devoted to the church of Jesus Christ. I recommend you learn more about the life of this man and his efforts. It just might help you to better understand what he taught! Michael Haykin, Professor of Church History and Biblical Spirituality at The Southern Baptist Theological Seminary in Louisville, KY recently spoke on a conference on the Holy Spirit. My friend Steve Weaver, Pastor of Farmdale Baptist Church, hosted the event. I would recommend you learning from Dr. Haykin at the lectures found here. You are currently browsing the Working out Salvation with Fear and Trembling blog archives for May, 2009.